Fusion and gemination are rare occurrences in the mandibular posterior teeth. Different treatment methods can be used according to the situation. The purpose of this case report is to show surgical treatment of these teeth and to prove the exact dental anomaly by examining them histologically. A report of two cases of fused and geminated teeth are presented. The first case was an 42 year old male referred with the complaining of pain originated from the right mandibular third molar fused with a supernumerary tooth. The second case was an 23 year old male having pain in the left mandibular third molar with bifid crown. Both teeth were extracted surgically and then cut perpendicular to their long axis to investigate to name the type of the anomaly. The histological examination revealed fusion of cementum between the mandibular third molar and supernumerary fourth molar which is diagnostic for fusion of these teeth in case 1. In case 2, it was observed that the teeth were sharing same pulp chamber which is describing gemination of these teeth. We believe that diagnosing the condition will facilitate endodontic, prosthodontic, periodontic, orthodontic and surgical treatment of such teeth. 1. Neville BW, Damm DD, Allen CM, Bouqout JE. Oral and Maxillofacial Pathology, 2nd ed, Philadelphia: Saunders, 2002. 2. Duncan WK, Helpin ML. Bilateral fusion and gemination: A literature analysis and case report. Oral Surg Oral Med Oral Pathol 1987; 64:82-87. 3. White S, Pharoah M. Oral radiology: Principles and interpretation, In Rudolph P(ed), Dental Anomalies, 3rd ed, pp 348-350, St Louis: Mosby, 2000. 4. Miles DA, Van Dis ML, Kaugars GE, Lovas JG. Oral and Maxillofacial Radiology, Philadelphia: Saunders, 1991. 5. Goaz P, White S. Oral Radiology and Interpretation, ed 3, St. Louis: Mosby,1994. 6. Laskaris G. Color atlas of oral diseases in children and adolescents, Local Diseases, pp 4-6, New York: Thieme, 2000. 7. Levitas TC. Gemination, fusion, twinning, and concrescence. J Dent Child 1965; 32:93-100. 8. 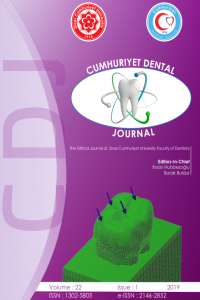 Hamasha AA, Al-Khateeb T. Prevalence of fused and geminated teeth in Jordanian adults. Quintessence Int 2004; 35: 556-559.